View Milo’s Properties in St. George, Utah in a larger map. From 1875 to 1879 Milo owned Lot 2 Block 27 Plat A. This is on the south side of present-day St. George Blvd. between 100 East and 200 East. It is now the east side of the Sunfirst Bank. From 1876 to 1882 Milo owned Lot 1 Block 2 Plat A. He bought it from Miles P. Romney for $2,000. He sold it to Moses T. Farnsworth in 1882. The house on the property had two front entrances and seems to have had two families living in it. At least two of Milo’s wives, Mary Webster and Margaret Boyce, lived with him in St. George. The house is still standing. 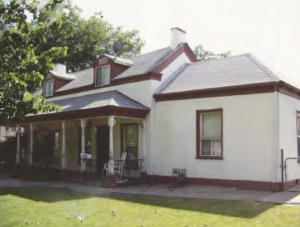 In front of it is a plaque entitled “Romney-Andrus Home.” The plaque lists the different owners of the house from 1862 to 1936. 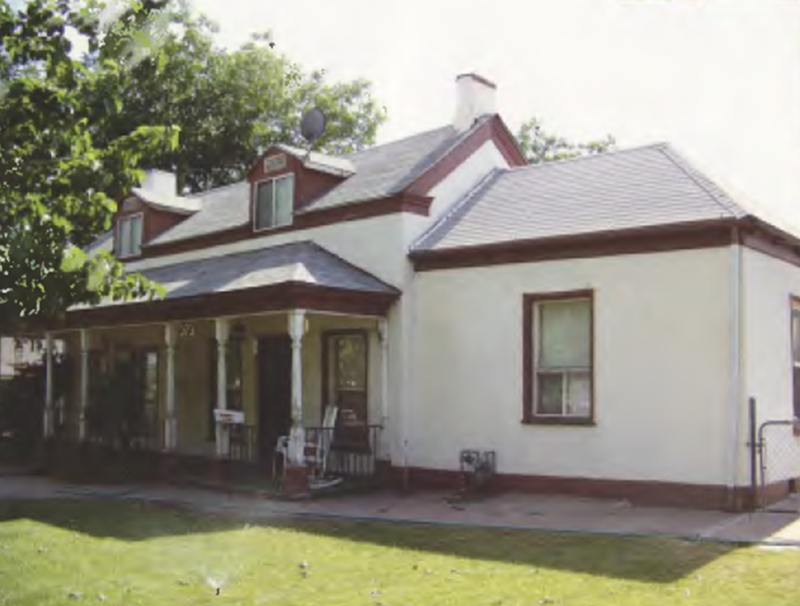 Milo and the house are mentioned on the Washington County Historical Society website and in the booklet, “Landmark and Historic Sites,” published by the city of St. George in 2009 (pp. 45-1 through 45-2). In county records Milo is listed as the trustee for Price farm, which was operated under the United Order. This whole area was known as Price City and was along the Virgin River in what is now Bloomington Gardens in Bloomington, Utah. Price City was a farming area that never really flourished. Milo’s oldest son, James, from first wife Abigail Daley, moved to St. George in 1886. He had two wives, Laura Gibson and Manomas Gibson. He built a house for Laura at 196 West 100 South and a house for Manomas on the same street at 164 West 100 South.